Our EMS teams operate as part of a larger Medic One / King County EMS (KCEMS) system. The components of the system include KCEMS, local fire departments, King County paramedics, private ambulance companies, and area hospitals. 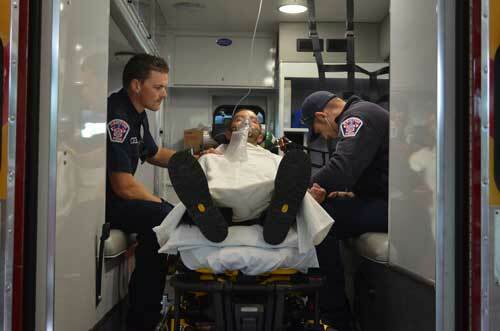 Together, this partnership allows Renton RFA to provide routine Basic Life Support (BLS) services through our EMT trained firefighters, as well as Advanced Life Support (ALS) through Medic One paramedics that we contract with through KCEMS. We have two Medic One paramedics on duty at all times to ensure we can provide the best response for any emergency medical situation. With Renton’s population growing exponentially year over year, the number of EMS responses continues to increase too. 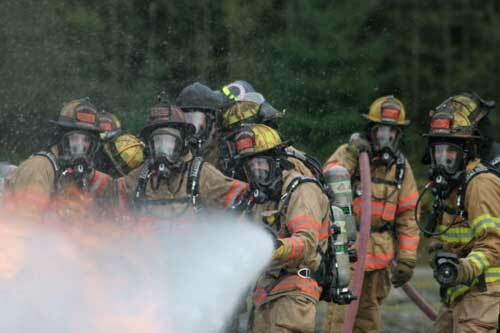 More people means a higher demand for fire and life safety services. Our teams work strategically to ensure our firefighters have the skills, equipment, and manpower to handle this growing need. *Response statistics include our total EMS responses inside and outside of our jurisdiction, using regular and reserve units. Under King County EMS system, every firefighter, fire lieutenant, fire captain, and fire battalion chief within the Renton RFA holds a certificate as an Emergency Medical Technician – Defibrillation (EMT-D). All EMT-Ds must re-certify every 3 years. In addition to re-certification, every year Renton RFA hires a King County Medic to teach EMS classes and do run reviews to keep our firefighters sharp and up to date on the latest techniques that save lives. We also maintain twelve (12) in-house Competency Based Training (CBT) instructors. These instructors belong to our various fire stations and attend outside training each year to help ensure we’re maintaining the highest level of EMS response internally. Our firefighters also continue to test their knowledge and hone their skills through online EMS training as well. 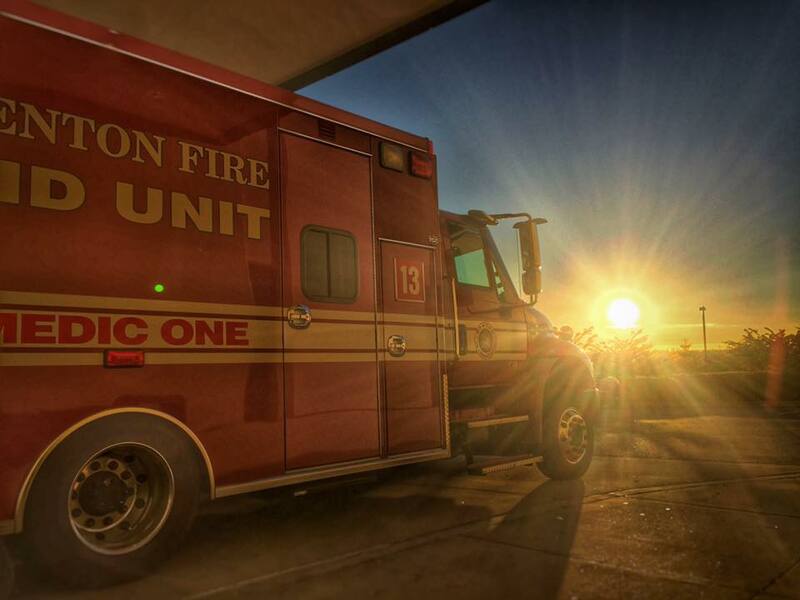 Fires make the headlines, but Emergency Medical Services (EMS) save lives. The City of Renton has proclaimed the second to last week in May “EMS Week“. This is a special week to bring our local community and medical professionals together to showcase safety and wellness, as well as honor those who are dedicated to providing day-to-day lifesaving services on the front lines of the community. Our community is home to some of the best medical facilities in the state. When it comes to EMS response and transportation, we provide transport for Basic Life Support (BLS) patients to Valley Medical Center, Overlake Hospital, and Swedish Hospital Issaquah based on Renton RFA policy. Patients requesting transport to other area hospitals will be transported via private ambulance. The priority of our EMS team is the health and well-being of our patient. Patients who require Advanced Life Support (ALS) intervention are transported via a Medic Unit to the closest or most appropriate facility. Transport decisions are based on the urgency of the patient’s medical needs, out-of-service time, destination, time of day, and traffic conditions. All of these elements combined can greatly effect where patients are transported. As trained EMTs, our firefighters have the authority, skills, and equipment to decide if a patient needs transported and which facility will be best for the patient. We always strive to do what is in the best interest of the people in our care.